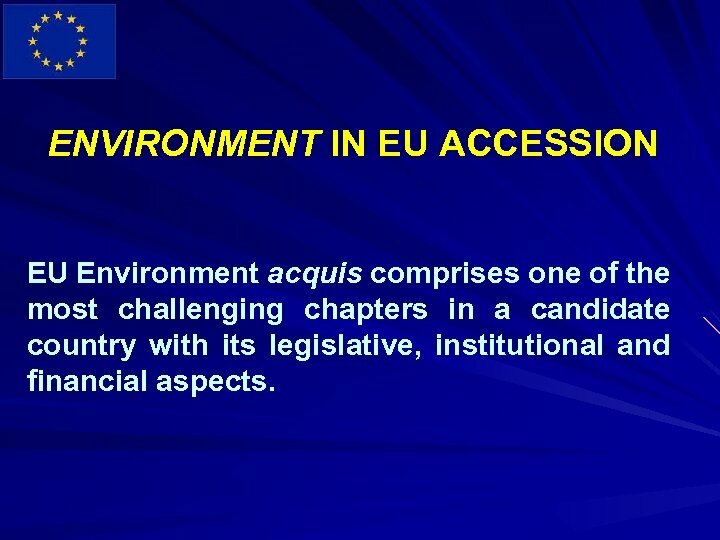 ENVIRONMENT IN EU ACCESSION EU Environment acquis comprises one of the most challenging chapters in a candidate country with its legislative, institutional and financial aspects. 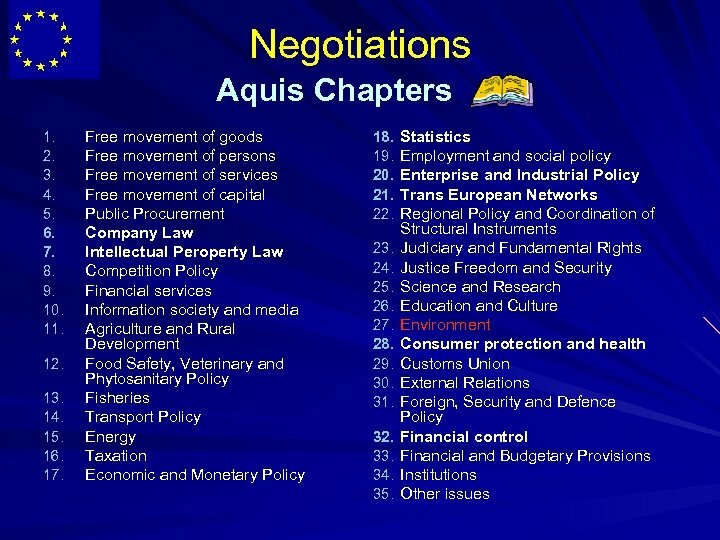 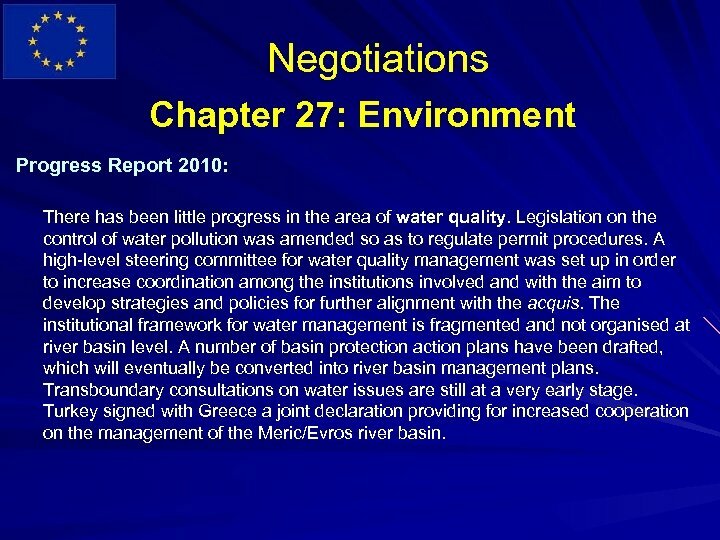 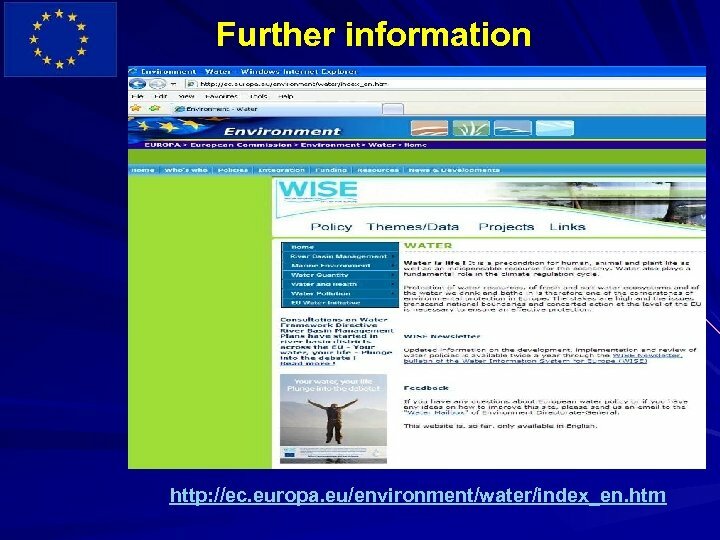 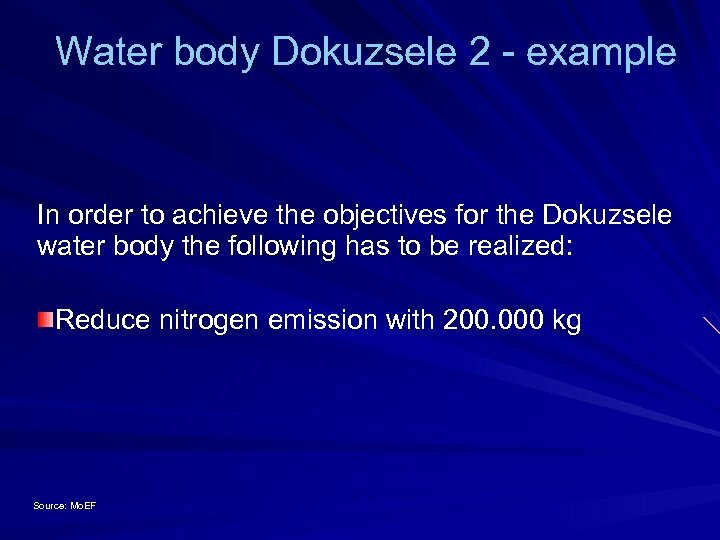 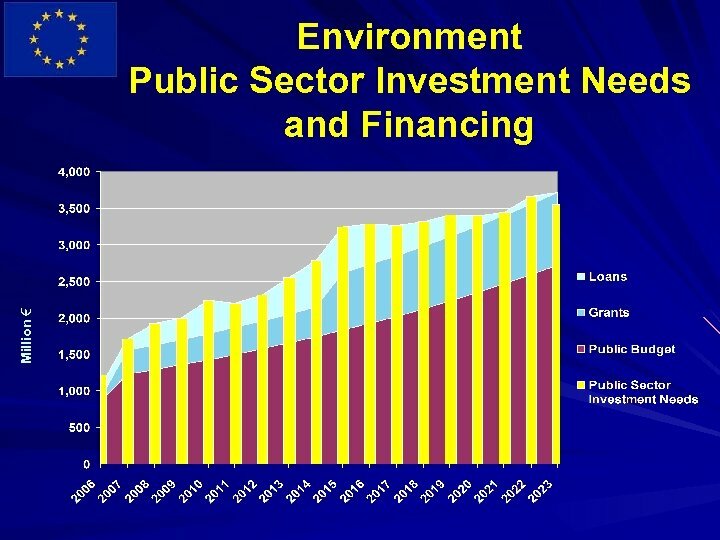 Negotiations Chapter 27: Environment Progress Report 2010: There has been little progress in the area of water quality. 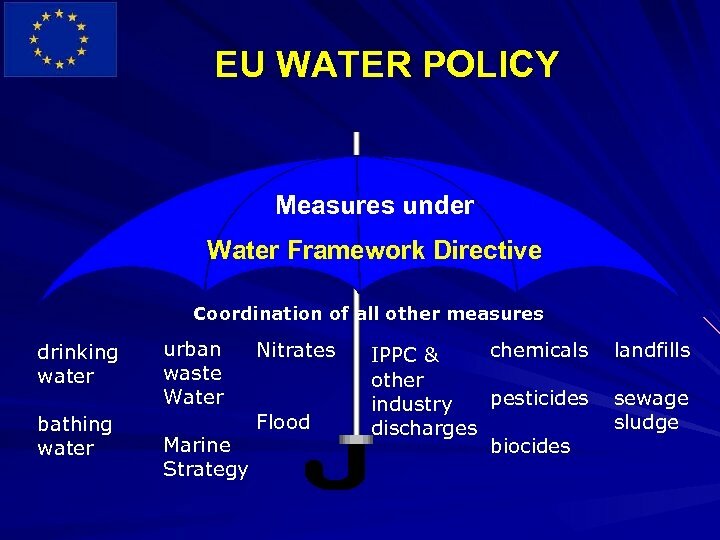 Legislation on the control of water pollution was amended so as to regulate permit procedures. 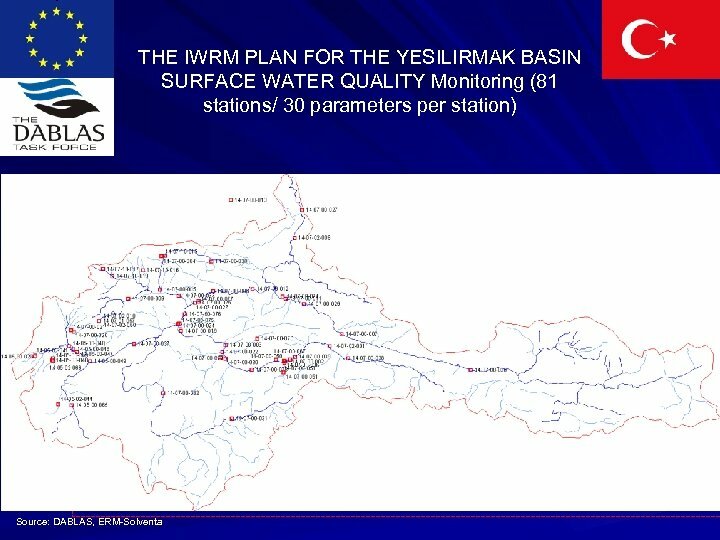 A high-level steering committee for water quality management was set up in order to increase coordination among the institutions involved and with the aim to develop strategies and policies for further alignment with the acquis. 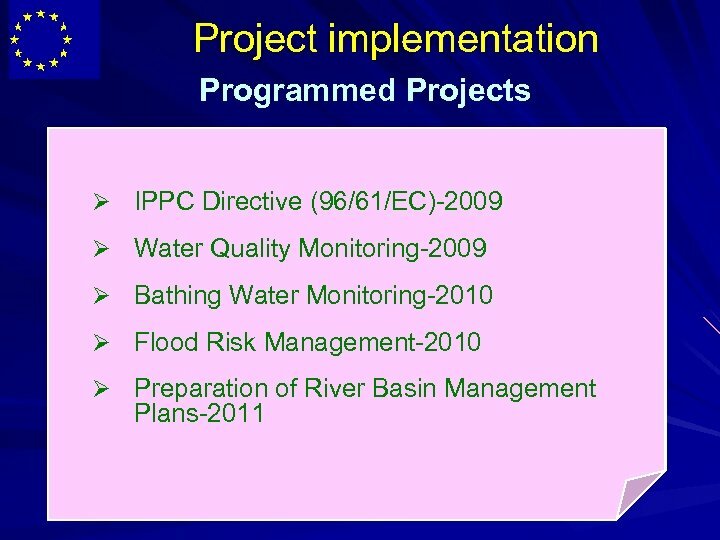 The institutional framework for water management is fragmented and not organised at river basin level. 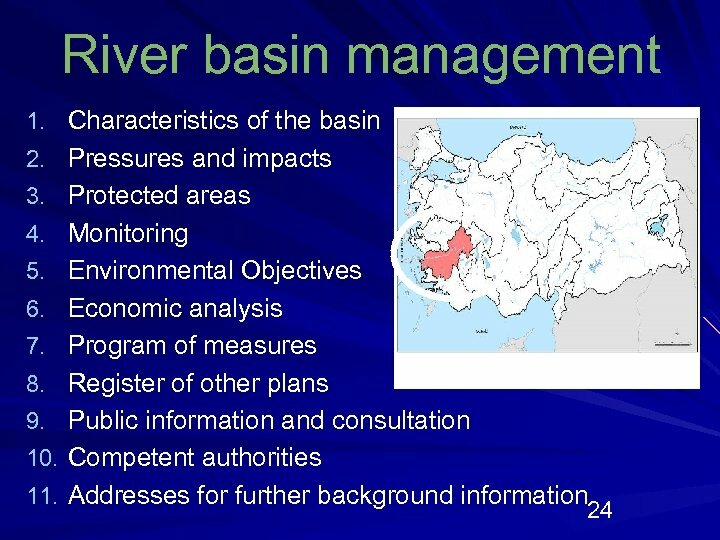 A number of basin protection action plans have been drafted, which will eventually be converted into river basin management plans. 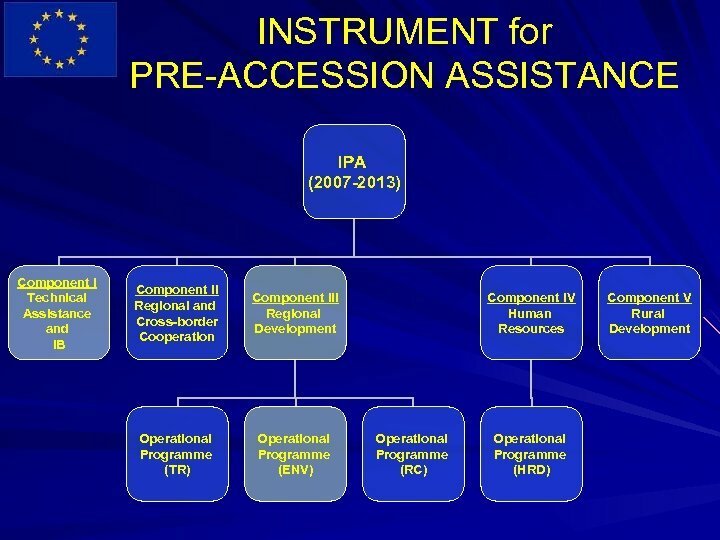 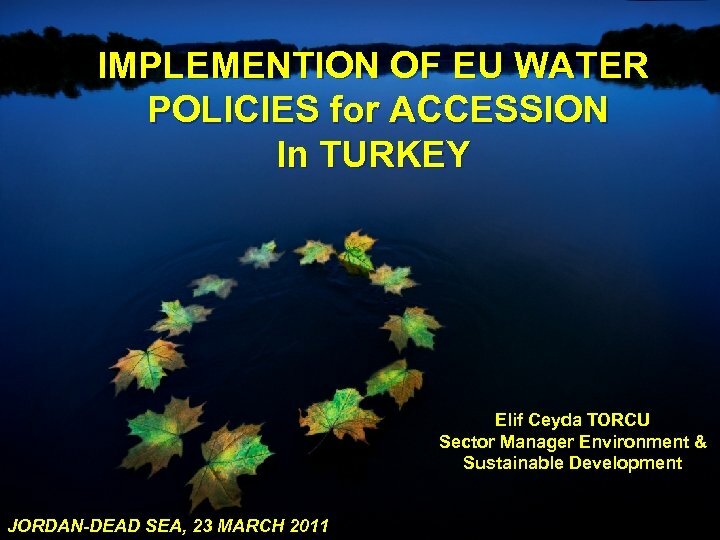 Transboundary consultations on water issues are still at a very early stage. 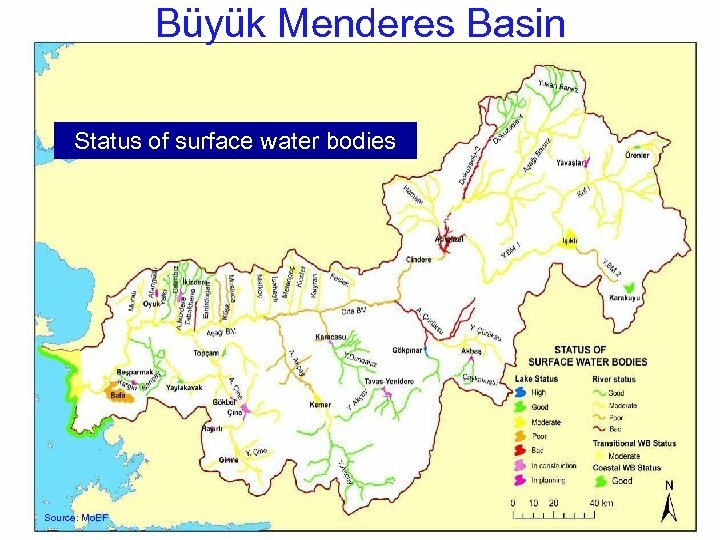 Turkey signed with Greece a joint declaration providing for increased cooperation on the management of the Meric/Evros river basin. 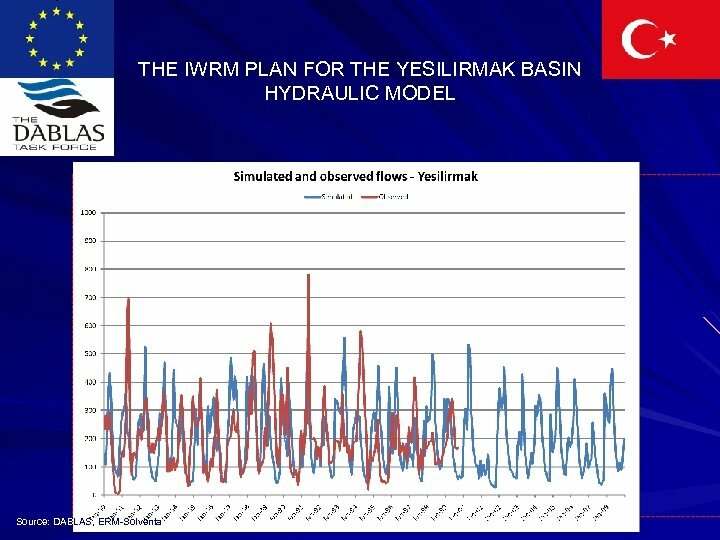 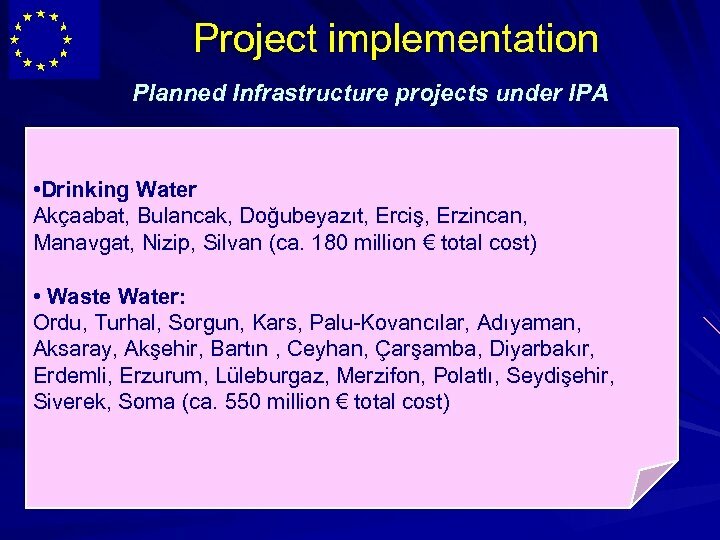 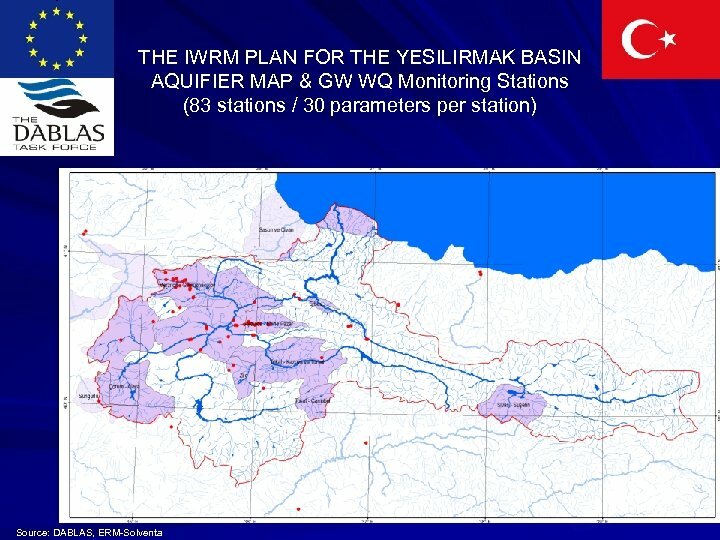 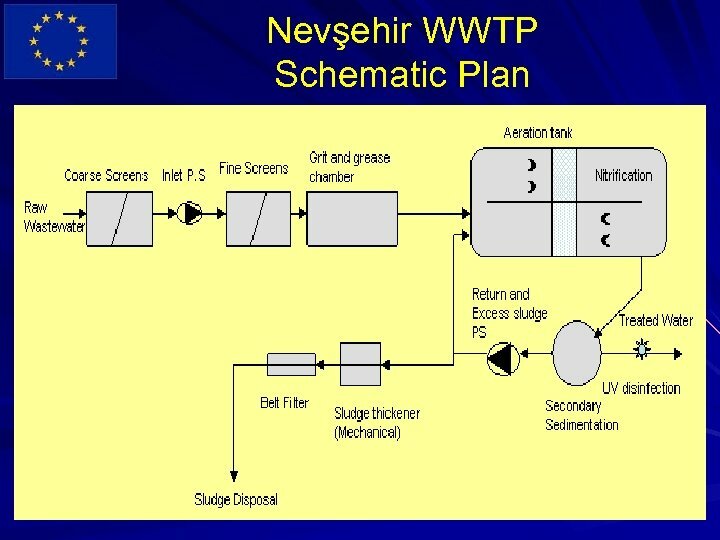 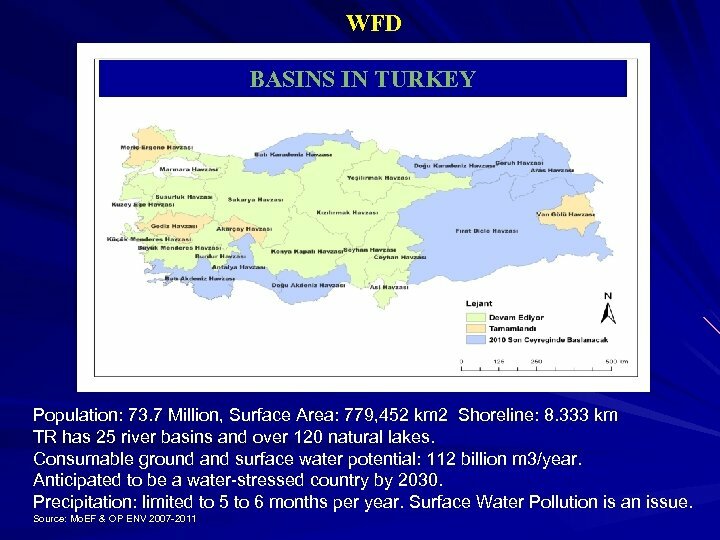 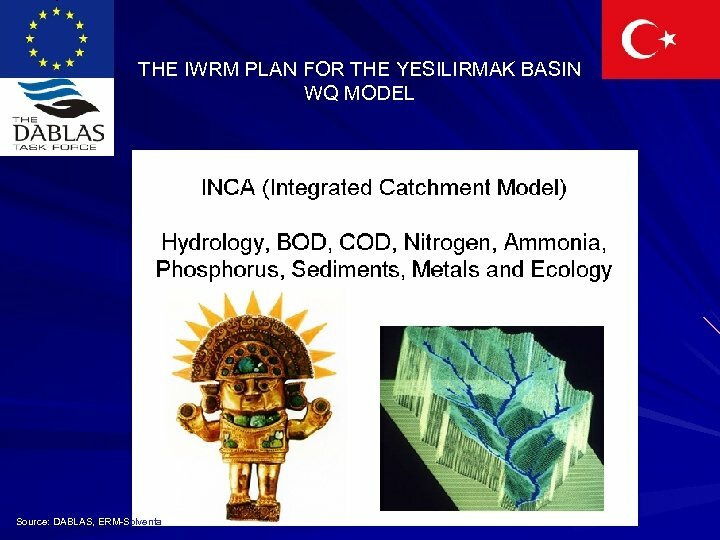 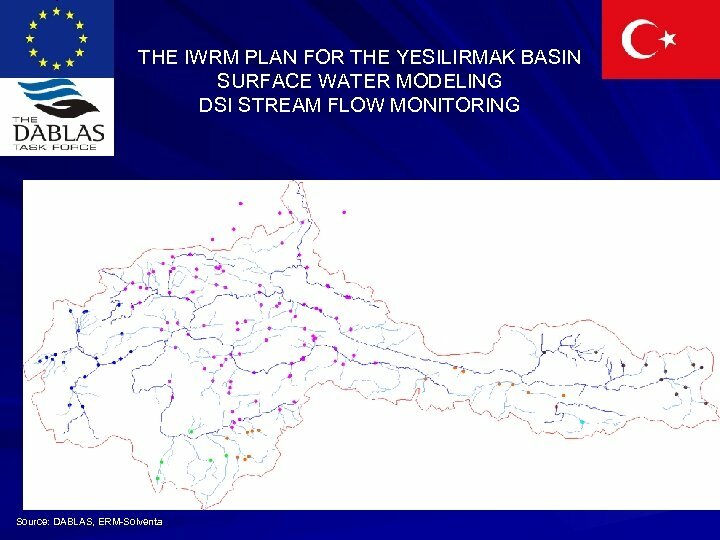 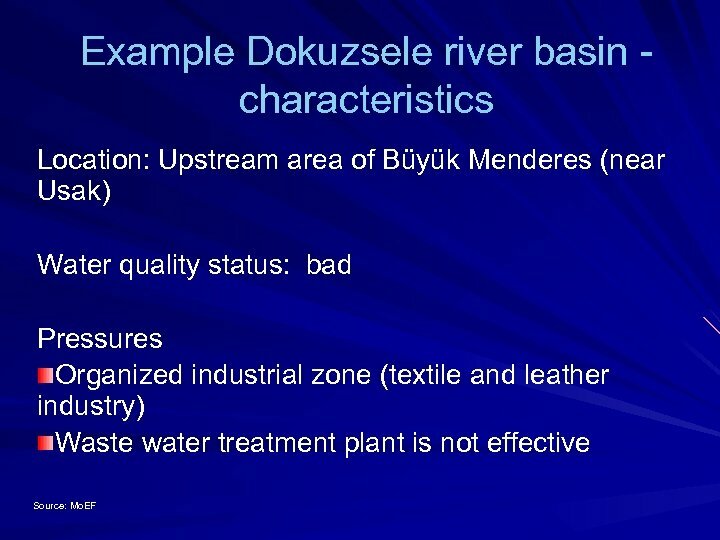 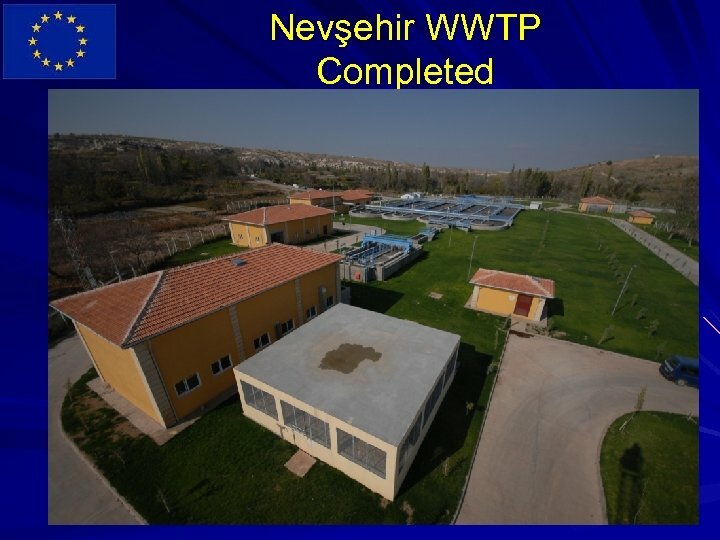 SELECTED PROJECT Nevşehir WWTP Project purpose A reduction of the pollution loads to the Kızılırmak River, in order to improve water quality of the river. 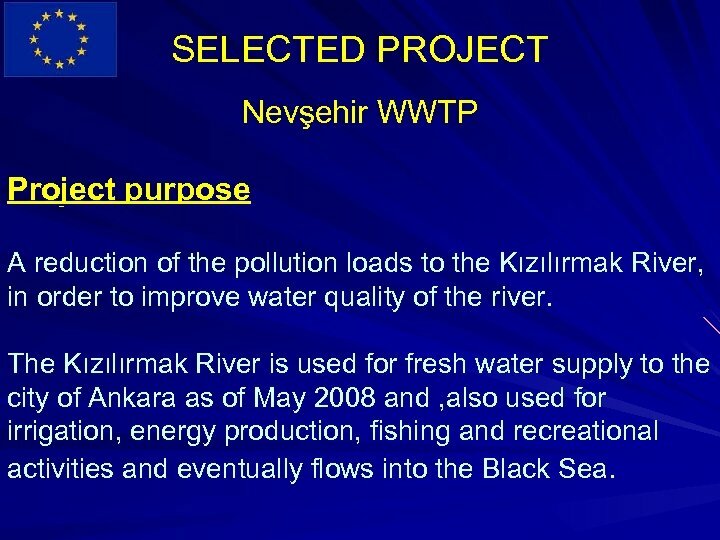 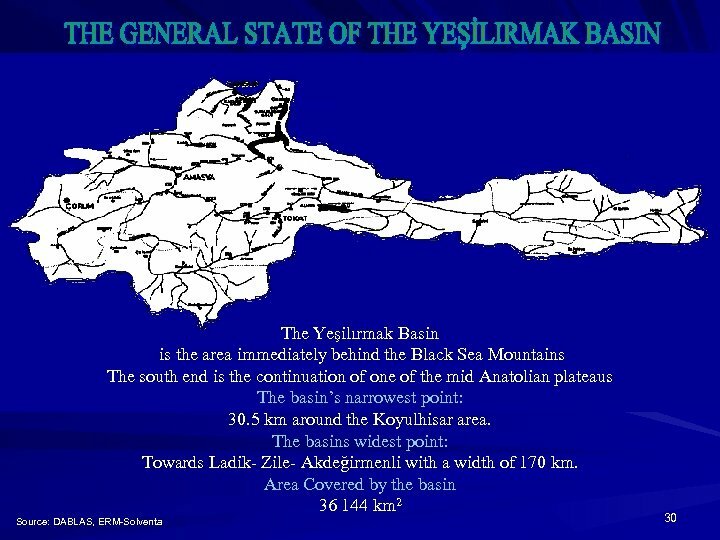 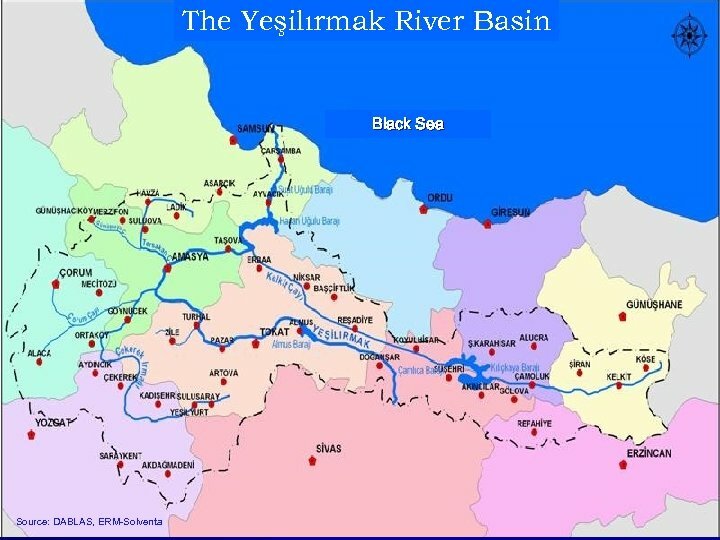 The Kızılırmak River is used for fresh water supply to the city of Ankara as of May 2008 and , also used for irrigation, energy production, fishing and recreational activities and eventually flows into the Black Sea. 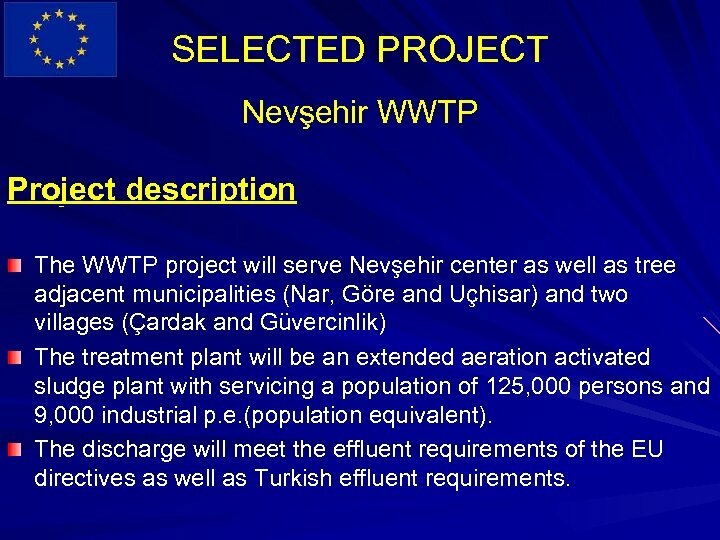 SELECTED PROJECT Nevşehir WWTP Project description The WWTP project will serve Nevşehir center as well as tree adjacent municipalities (Nar, Göre and Uçhisar) and two villages (Çardak and Güvercinlik) The treatment plant will be an extended aeration activated sludge plant with servicing a population of 125, 000 persons and 9, 000 industrial p. e. (population equivalent). 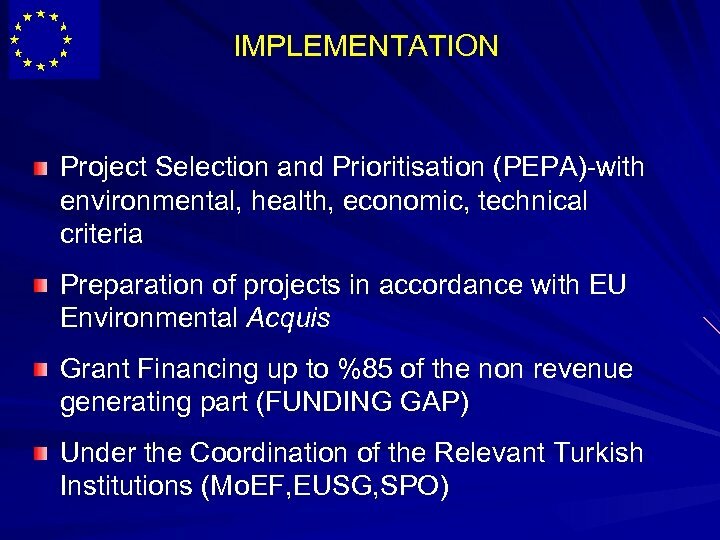 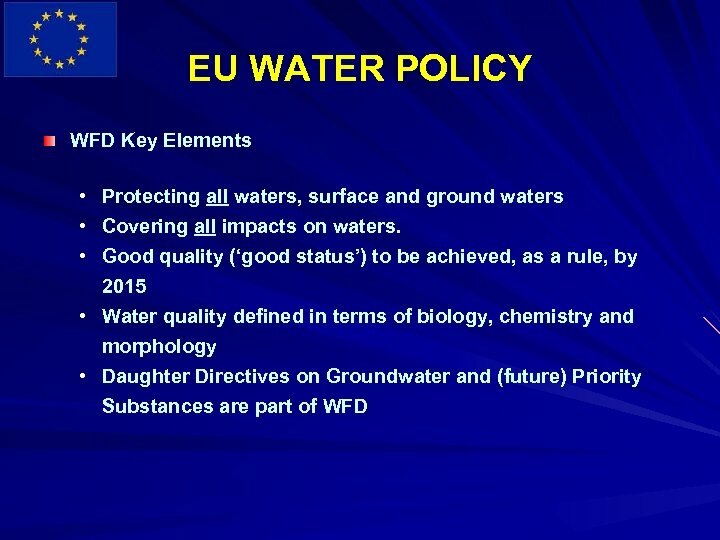 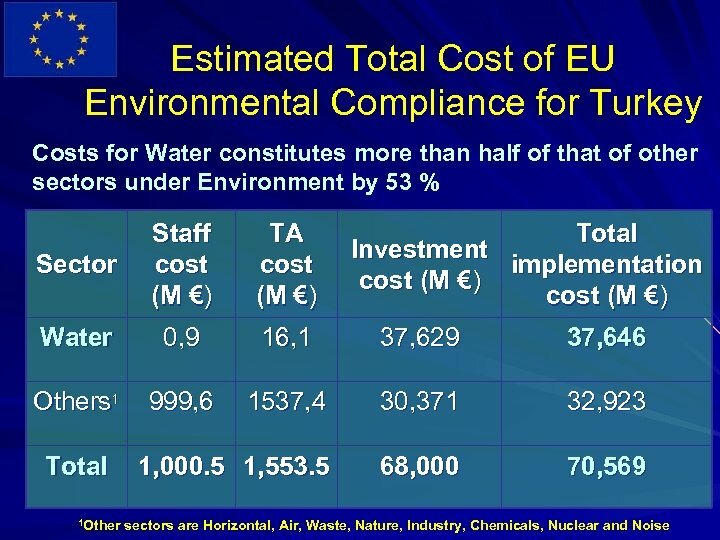 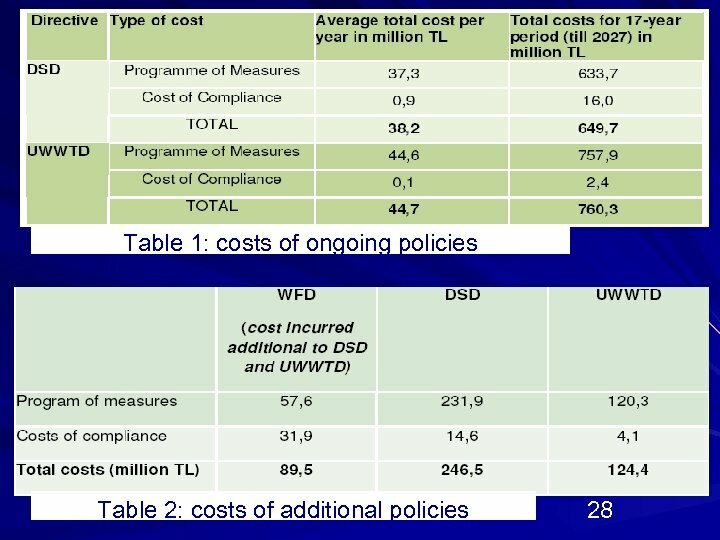 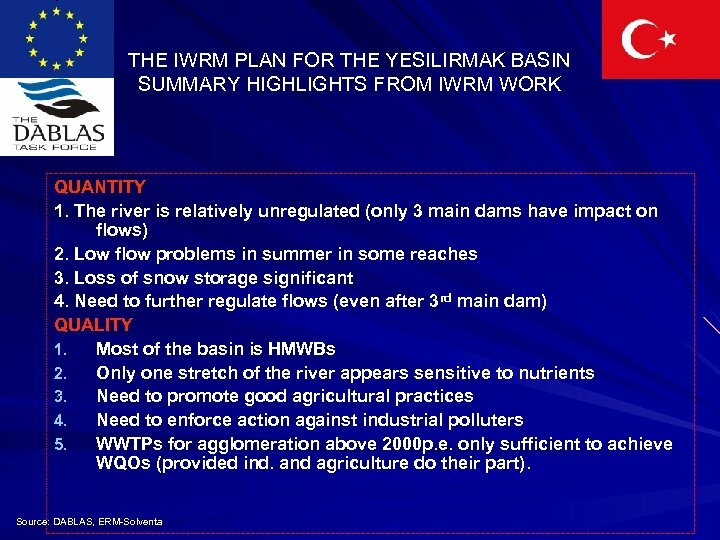 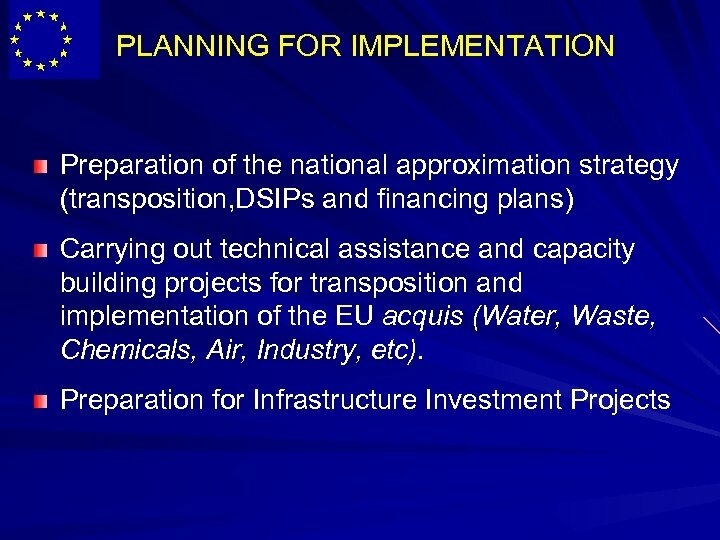 The discharge will meet the effluent requirements of the EU directives as well as Turkish effluent requirements. 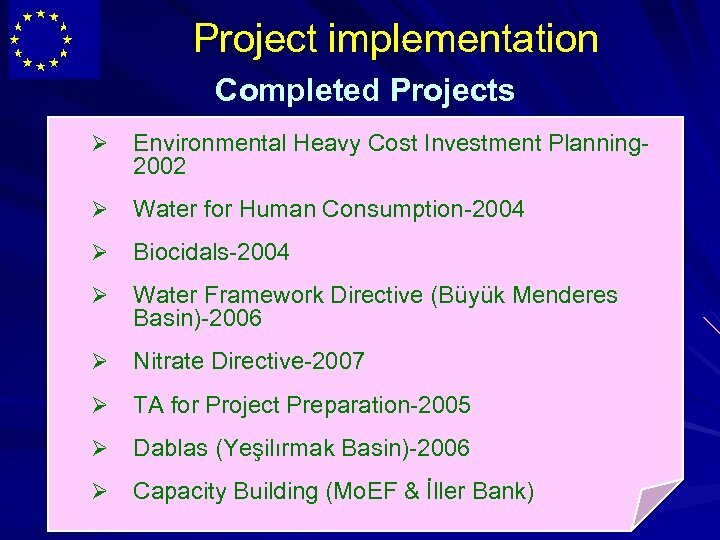 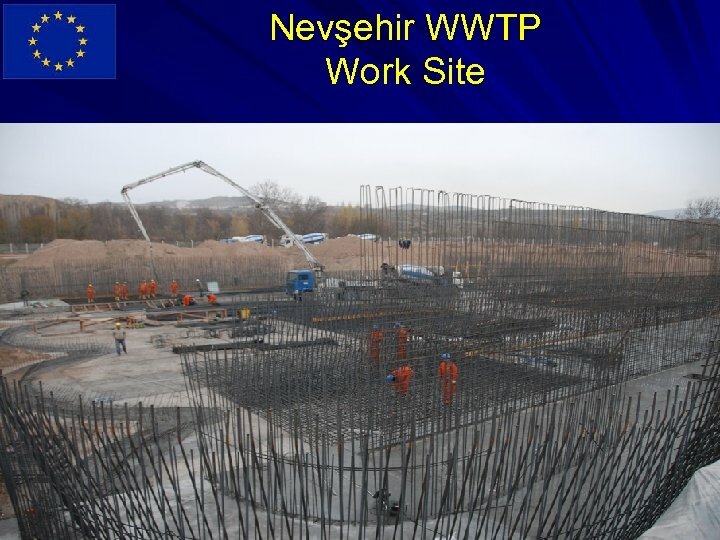 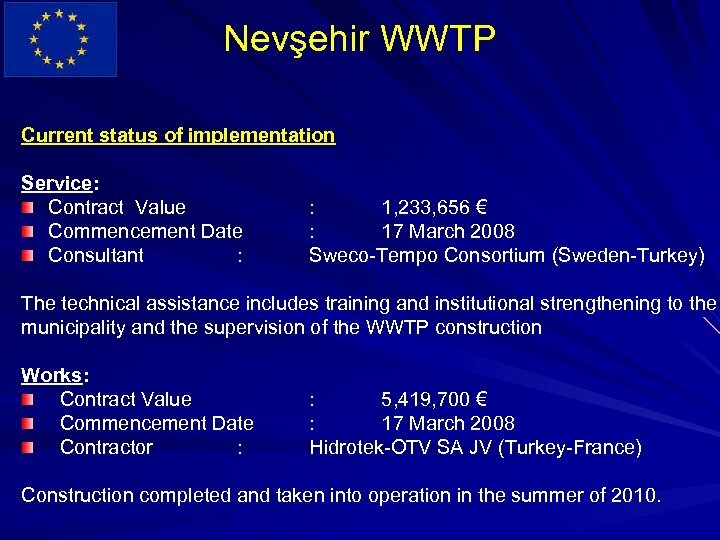 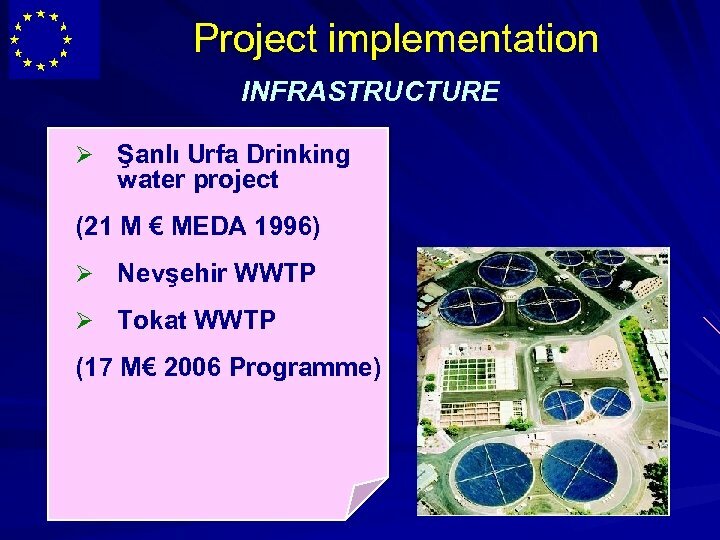 Nevşehir WWTP Current status of implementation Service: Contract Value Commencement Date Consultant : : 1, 233, 656 € : 17 March 2008 Sweco-Tempo Consortium (Sweden-Turkey) The technical assistance includes training and institutional strengthening to the municipality and the supervision of the WWTP construction Works: Contract Value Commencement Date Contractor : : 5, 419, 700 € : 17 March 2008 Hidrotek-OTV SA JV (Turkey-France) Construction completed and taken into operation in the summer of 2010.